The picture on the left is typical of what is going on in California during the four year long California drought. It will last at least another year since the snow pack in the mountains is way down again this winter. No one knows how much longer the drought will last beyond next year. The drought is very serious since most reservoirs are down significantly. They have less than a years worth of water left in them to provide water to cities, farms and home owners across the state. If they do not get water soon, serious water restrictions will be put in place. They need to conserve even this limited amount of water that is left. Many people in California appear to not be taking the threat seriously. They continue to water lawns, wash cars and waste water as if there is not problem. It is time to wake up since California is considering reducing lawn watering to twice a week along with many other restrictions. In desert communities, twice a week watering will cause many lawns to die off and most tress that have been planted to also wither and die. All those beautiful palm trees will also die since they take copious amounts of water. Many residents and visitors just do not realize that each palm tree must be watered unless it is watered by an underground spring of which there are few. Here are some of the things you can do to reduce water usage. There are likely many more things that can be done to conserve water. Look at your own situation and apply water reduction techniques. It will help your wallet as well. We are snow birds who have been visiting California for the past several years usually in the Jan to April time period. There is much to learn about the drought in California. We have also learned the steps that California is taking to curtail water use to ensure that there will be enough water to last through this drought. It is in its fourth year with no end in site at the present time. One measure is the depth of the snow pack in the mountains, which once again is lacking and will not provide enough water for the coming year. California already knows that the drought will go on for at least another year. We are in southern California in a beautiful spot in the desert. We are continually amazed at how much water is used here for irrigation, fountains. Also all of the regular daily uses of water that seem to be in conflict with the drought and water restrictions. Even the condo property we are staying at is having lot’s of debate with regard to what they should do with regards to their water use. There are over 100 golf courses in the valley and all are watered daily, many several times a day. There are many gated communities with lots of lawns and gardens, water falls at the entrances and so on. We do not perceive a reduction in water usage as far as we can observe. Some locations are gradually converting to a desert landscape which will use much less water. However this is a very small percentage of the overall total. We find it troubling that many communities and individuals do not appear to be doing much about curtailing water usage. In fact in the condo we are staying at the water usage has gone up by 22% over the previous year. The following list has been suggested by California to reduce water usage. It is not complete since this list is being adjusted and added to as the drought continues to get worse. Reduce water use where ever and whenever possible. A Pressure Washer can be a very useful tool around the home when used properly. It can also be an extremely dangerous tool if not used properly. We believe in safety first and urge readers to also read their instruction manuals. Pay particular attention to the safety aspect of the instruction booklet. 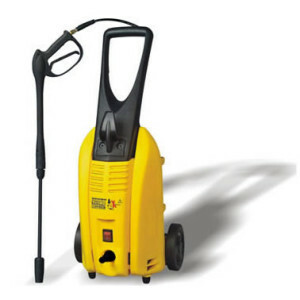 We are not encouraging readers to purchase any particular type of Pressure Washer. However we do encourage consumers to use them carefully. I was originally against buying one of these tools. I thought it was kind of frivolous and just a gimmick until I borrowed a neighbors. Then I realized just how useful a tool it actually was. Since we purchased it, we have used it for many different projects, that have been made much easier than it would have been other wise. If you are considering purchasing one, just do it. They are really quite good. The basic rule is never point the wand at anything that you do not want damaged. This includes other people, yourself and anything that could be damaged by a high pressure stream of water. We have seen a jet of water cut right through wood, cut plantss in half, pierce the skin and remove paint from a car. Used incorrectly they can be both dangerous and cause a lot of expensive damage. Read all of the instructions and experiment first on something that you do not mind damaging to get used to using a pressure washer. The wand is designed to allow operators to adjust the concentration of water exiting from the wand. It can deliver a really tight stream of water. This is useful to cut things with, get at hard to remove paint on a cement wall and remove stain from wood in hard to get to places. Adjusting the wand so that the stream is wider is also convenient. This adjustment will reduce the pressure of the stream which can be use to remove paint from walls or stain from wood. We found that it was excellent for removing loose paint and stain from wood. When we wash the car, the wand is set to deliver as wide a stream of water as possible. Make sure you stand well back to make sure that there is little chance of removing any paint from your car. If your car is rusty or has loose paint, it is going to come off. This may some damage on your car that you may not be expecting. Standing back about six feet so that the wand is at least three feet from the car is usually enough. This distance should ensure that the paint will not be damaged by the pressure washer. If there is loose paint or rust on the car, even at this distance it is probably going to come off. In our last post we wrote about the drought in California. We were wondering if they were doing enough to Decrease Your Water Usage in the state. We thought we would write a follow-up post. This is about how to Decrease Your Water Usage and save money at the same time. If you use less water, you are helping the water situation. You are also contributing to smaller water bills which saves every consumer money in the long run. This web site is about saving money. Decreasing your water usage is another excellent way to decrease your overall costs for utilities. Anyone with an old toilet and an old shower head as well as kitchen faucets can probably save themselves a bundle of money. Decrease Your Water Usage quickly by upgrading to modern units. There may be incentives in your jurisdiction to help pay for the upgrades which will decrease the overall cost of the conversion. If you live in an area where it rains once and awhile, capturing rain water to be reused can save you money. 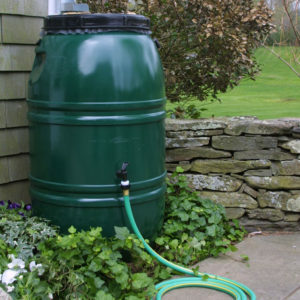 It can be stored in a cistern to be reused or in a rain barrel to be reused. It will also decrease the water you use and lower your water bill as well. We all like to have a nice looking lawn that is cut to golf course specifications. But did you know that if the lawn is allowed to grow longer it protects the ground underneath. Also less water evaporates from the soil making the roots of your lawn stronger. Allowing your lawn to grow one inch longer can make a huge difference in the overall health of your lawn. This also means less water usage. 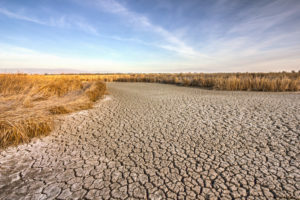 The California Water drought has been going on for a few years now as we write this post in the spring of 2014. We have been coming to California for the past 10 years. From everything we read, this is a pretty bad situation with lots of reservoirs empty or heading in that direction. The picture on the left is a good example of what they are dealing with. This was a relatively small reservoir that is completely empty. No water sports or anything is going on now. It is like this all over the state. We are staying in the Palm Springs area of California. Frankly you would never even know that there was a drought in the state. The golf courses look great, the lawns are well watered. The plants and flowers are as beautiful as ever. We know that the golf courses are converting to non potable water which means it is recycled which is a good thing. However most if not all of the watering that goes on at homes is from the main system. This water is not being limited in any way. You will see water running down the street at times when a sprinkler is not working properly. The place we stay at waters the lawns at least four times a day if not more. Consequently they are not conserving water. 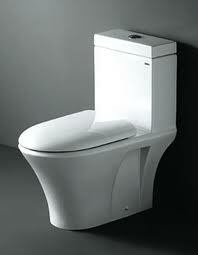 They could start by converting all of the old toilets in our complex to high efficient models. These models use one-third of the water. They could convert the lawns to more of a desert landscape. Also increase the water bills to promote less water usage . They could make programs available to decrease the water usage for things like showers and toilets. The amount of water used could be decrease dramatically. We just don’t think they are doing enough. What do you think about water conservation and the California Water Drought?